Nothing comforts like a bowl of homemade soup, and once you master a few basic techniques, you can make a host of variations. 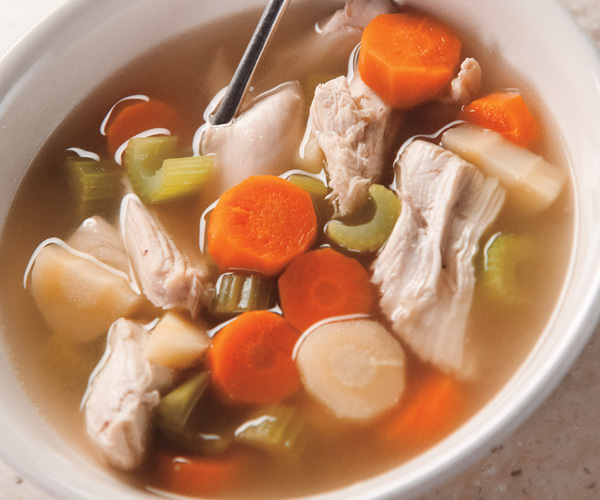 Watch Martha as she makes a nourishing chicken soup, that’s as easy as poaching a chicken. Then learn the “flavor-boosting” techniques that go into making minestrone. Finally, you’ll discover how to make velouté, a classic “mother sauce” that here becomes the basis for a creamy spinach soup. Martha Stewart demonstrates different techniques for making soup. Martha Stewart shows you how to make Veloute.